When I think of taking a road trip of any sort here in Canada, then I think of beautiful drives, stunning vistas, sweet tunes and snacks galore. 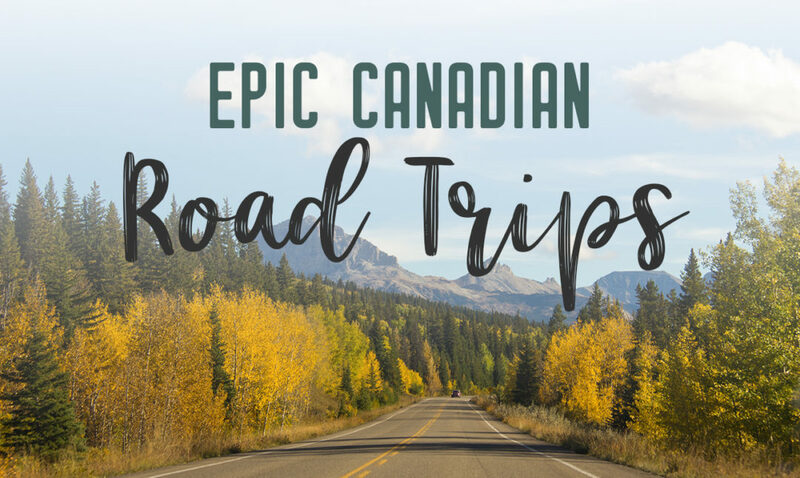 The following epic road trips in Canada are gathered from bloggers from Canada and abroad sharing their favourite drives. There’s no comparing the beauty of the Jasper and Banff national parks in Alberta. 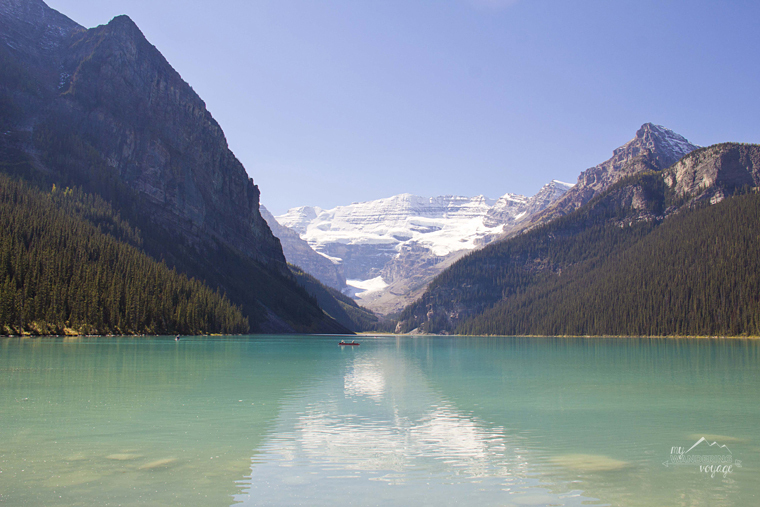 In fact, the Icefields Parkway, which takes you through the heart of both parks, is well-known as being one of the most epic road trips in Canada. A road trip encompassing Banff National Park and Jasper National Park can be the best way to see everything in a short amount of time. You almost wish there are see-through vehicles to take in the beauty of your surroundings. On my latest journey here, I made a round trip in two days, but if you want to see more than just quick roadside beauties, than plan for longer. 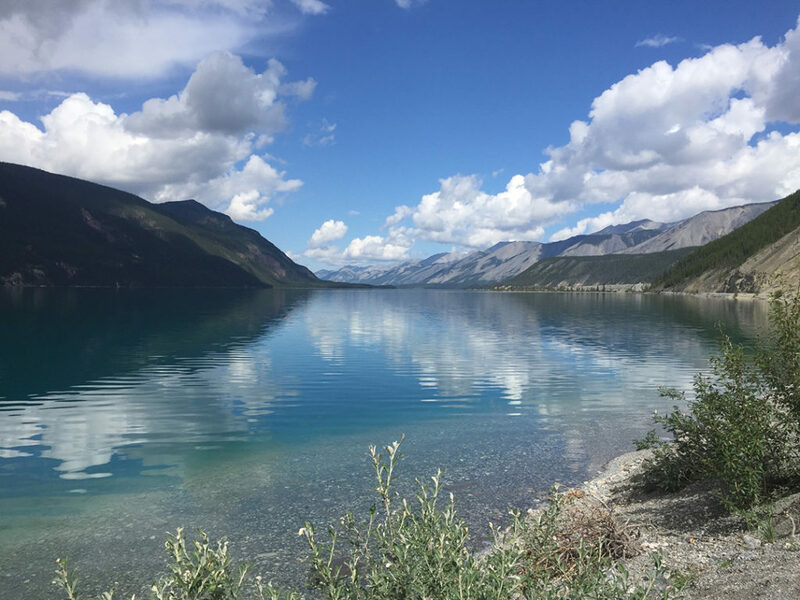 The first stop you should make is Patricia and Pyramid Lakes, located just north of the town of Jasper. These lakes are a great spot to pull over and have a picnic. Or walk the bridge over to the beautiful island where you can wander the length of the island. 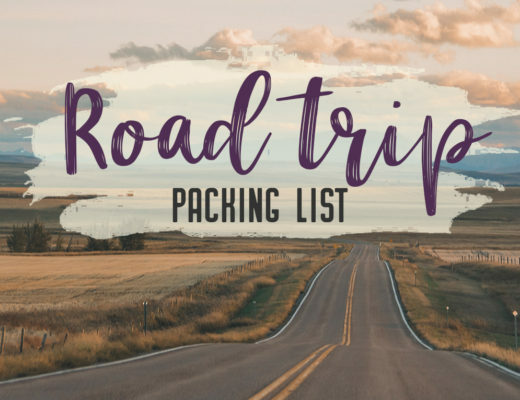 Throughout the road trip, you’ll want to stop at many of the breathtaking waterfalls, like Maligne Canyon, Sunwapta Falls, Athabasca Falls, Johnston Canyon and more. You’ll also get the opportunity to walk along a glacier and over a glass bridge. There are many incredible opportunities to explore the Canadian Rockies in this epic road trip. The biggest question I got when I told friends and family I was heading to Manitoba was why Manitoba? What’s even there? 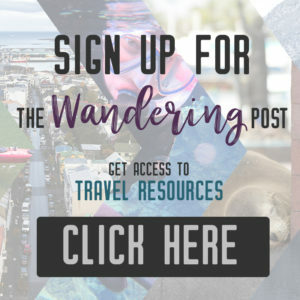 Besides the fact that it has one of the highest Filipino populations in Canada (along with one of the only Jollibees, a Filipino fast food chain which is how I convinced my partner to join me), there is SO much to see and explore! As a Prairie province, Manitoba is unfairly judged for being “flat, dull, and boring” to which I say HOGWASH. It’s seriously one cool place to explore. You can feel like you’re in another country while exploring the sand dunes at Spruce Woods Provincial Park, be transported back in time while admiring some of the last grain elevators, channel your inner Icelandic Viking, and enjoy some serious spa time after all your adventuring. 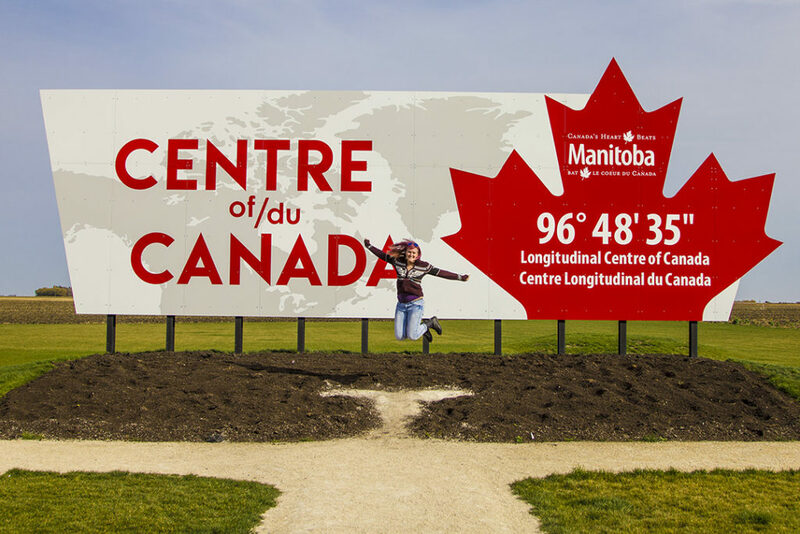 While a week is a solid amount of time to spend in Manitoba, you’ll probably want even more once you get there! If you’re looking for an epic road trip in Canada, then look no further than a Northwestern Ontario road trip. This week-long road trip will have you leaving from Toronto and heading north for the long 1,300-kilometre journey to Thunder Bay. You’ll be enjoying 14 stops, seven provincial parks, and a slice of Ontario’s breathtaking natural scenery. You can’t get any more Canadian with most of the trip taking you along the Trans Canada Highway that stretches across Canada. And this section of the Trans Canada will have you pulling over quite a bit with its stunning views and sweeping natural beauty. This road trip will have you chasing waterfalls, iconic Canadian figures like Wawa’s giant goose, Terry Fox, and Winnie-The-Pooh, along with visiting some of Ontario’s great northern cities like Sault Ste. Marie and Thunder Bay. This road trip is ideal for nature lovers as its chalked full of hiking trails, natural wonders, and the end stop, Thunder Bay, one of Canada’s top outdoor cities. 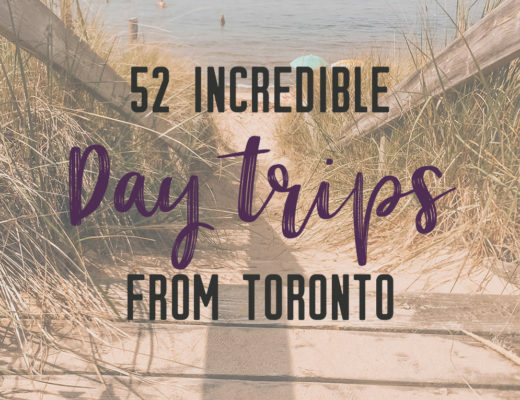 A few highlights include; hiking in one of Ontario’s most beautiful parks Killarney Provincial Park, a day spent hiking and exploring Lake Superior Provincial Park, and digging into history in Sault Ste. Marie, one of North America’s oldest settlements. 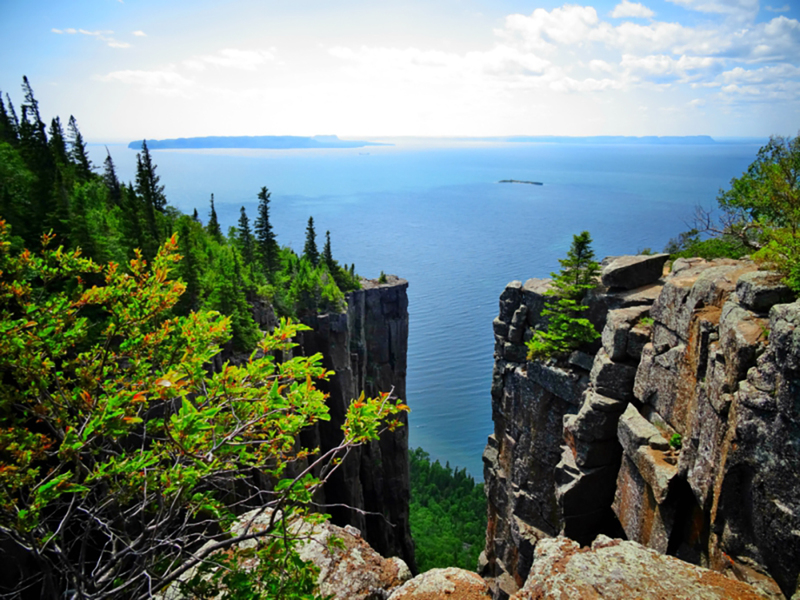 And in Thunder Bay, you’ll discover three of Canada’s natural wonders! 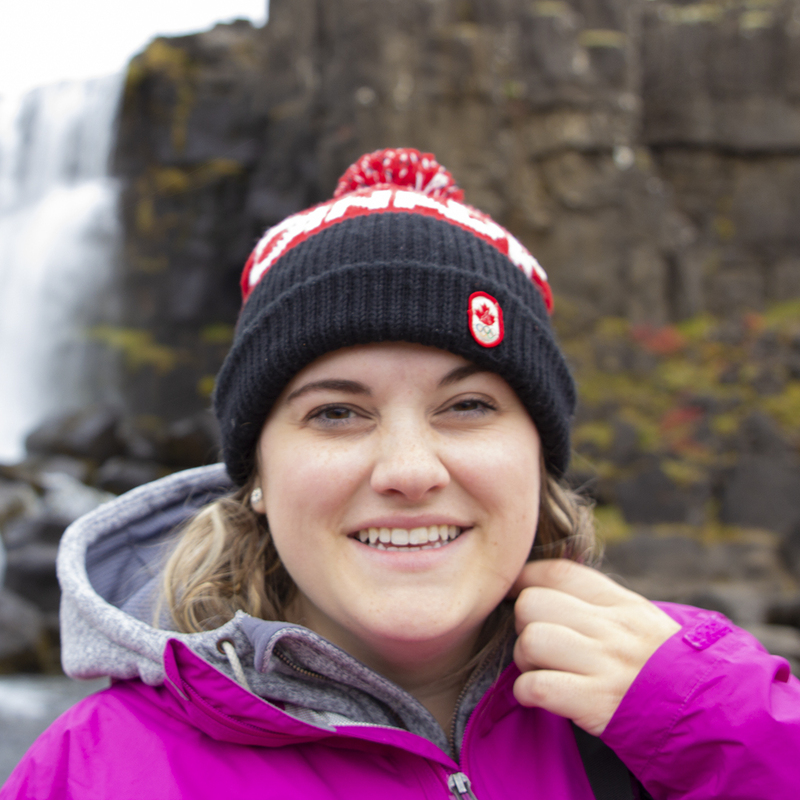 The first, Ouimet Canyon, known as the Grand Canyon of the North, as well as Kakabecka Falls that’s affectionately called Niagara of the North, and finally The Giant of Sleeping Giant Provincial Park. Hike to the top of the Giant for one of Canada’s epic views, which is worth the road trip itself! Cape Breton Island is one of Canada’s most scenic hidden gems. Located northeast of mainland Nova Scotia on the Atlantic Ocean, Cape Breton is a wild and beautiful place. 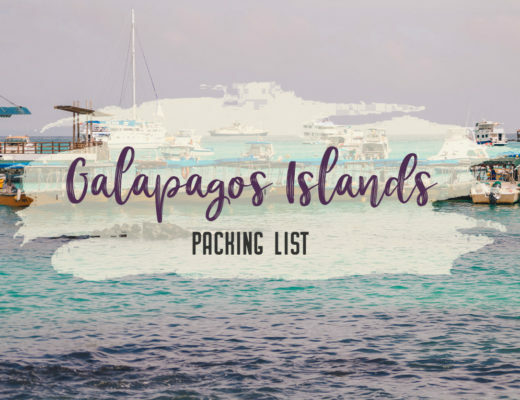 Featuring rough, rugged coastlines interrupted by beautiful sandy beaches, this island is a destination in its own right. Gorgeous look-outs are scattered around the island, each one just as stunning as the last. Surrounded by the Atlantic Ocean, spotting seals, whales and other sea creatures is almost a sure bet. On this island, you’ll find the infamous Cabot Trail (the main highway that circles most of the island), considered to be one of the most scenic drives in the world. Many people opt to drive this 300 km loop in 3 to 4 days so they can soak in the beauty of the island and explore on foot. 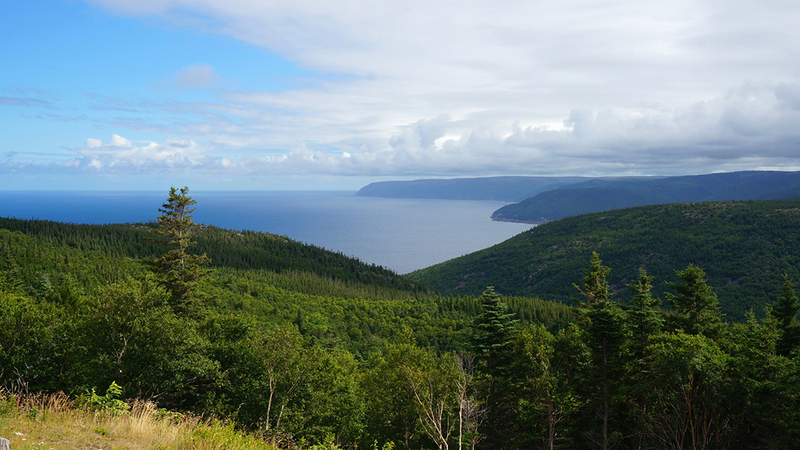 There’s no shortage of hiking trails on Cape Breton Island. Many can be found in Cape Breton Highlands National Park, one of Canada’s most stunning NPs. Described as an “outdoor sanctuary with an iconic roadway” it deserves a day or two of your time to explore fully. If you have your heart set on spotting some of Canada’s native animals, you’ll likely run into them in their natural habitat while on the island. The best way to thoroughly enjoy the natural beauty of Cape Breton is to camp. While there are many small villages offering hotels and B&B’s, camping allows you to embrace the island’s wild side fully. There is no shortage of campsites, both within and outside the NP boundaries. Be sure to have your camera ready at all times as you will likely be reaching for it to take pictures of bald eagles soaring overhead while you pitch your tent or pilot whales hunting off the rugged coastline as you prepare dinner over a campfire. 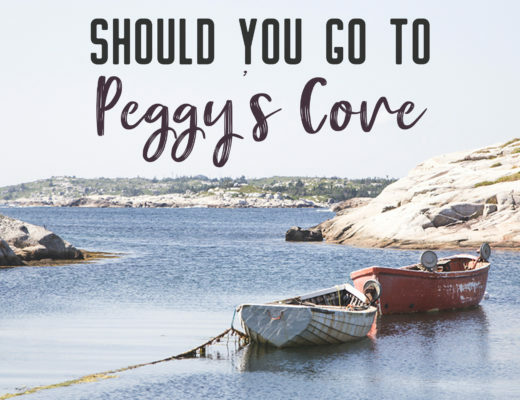 Cape Breton Island was made for road tripping and is easily accessed by the Canso Causeway (the Trans Canada Highway) connecting the island to the mainland. Voted the #1 island in North America by Travel Leisure Magazine, Cape Breton is a beautiful destination that highlights some of the country’s most stunning natural features, and one of the most epic road trips in Canada. 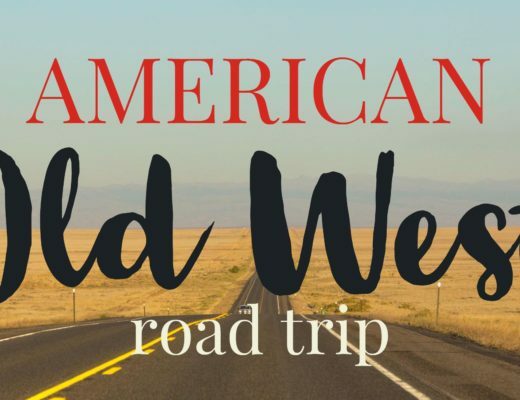 A road trip along the Alaska Highway, which connects the lower 48 states to Alaska, takes you through Canada and some of the most visually stunning and breathtaking sights in the world. Covering nearly 1,400 miles – over 2,200kms – from Dawson Creek, BC to Fairbanks, Alaska, there are very few motels, fast food joints, or other tourist stops. Instead, you’ll find breathtaking vistas, mountains, wildflowers, and more wildlife than you can imagine. In the summer of 2016, my family travelled the Alaska Highway over the course of 9 days, in an RV. Along the way, they enjoyed the endless days, saw more bears and eagles than they could count, and found themselves continually awestruck by the beauty that is Canada. Although there are sufficient amenities to get by, you should be cautious and plan ahead: be sure to gas up early in the day and have an idea as to where you want to stop. There are lodges at some of the more popular destinations, including Westmark in Whitehorse, but my family took advantage of the numerous provincial parks and simply camped in the wilderness. Having stopped for lunch and groceries, we enjoyed grilling out at night, fishing in the land of the eternal sun, and enjoying a round of smores before bedding down in preparation for another day on the road. 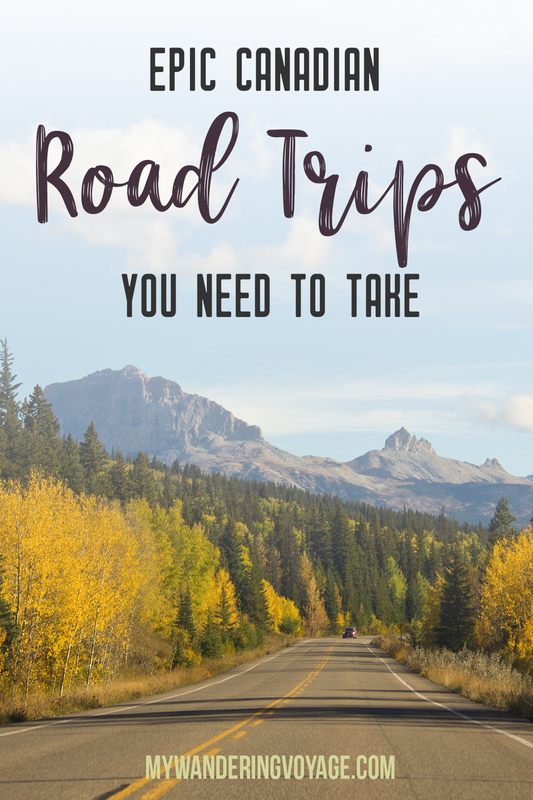 As far as epic road trips in Canada go, I can’t think of one that offers more stunning and awe-inspiring views as that you might find along the Alaska Highway and recommend it to anyone looking for an off the beaten path adventure! Northern Canada offers some of the most epic road trips in Canada. And few places offer as unique an experience as Yellowknife in Canada’s Northwest Territories. During the winter all of the lakes freeze over including the massive Great Slave Lake where Yellowknife resides. This frozen platform offers a unique way to connect many of the remote indigenous communities of the Northwest Territories via ice highways. And one of the most famous journeys is on the short but scenic Dettah Ice Road connecting Yellowknife to the town of Dettah on the shores of Great Slave Lake. 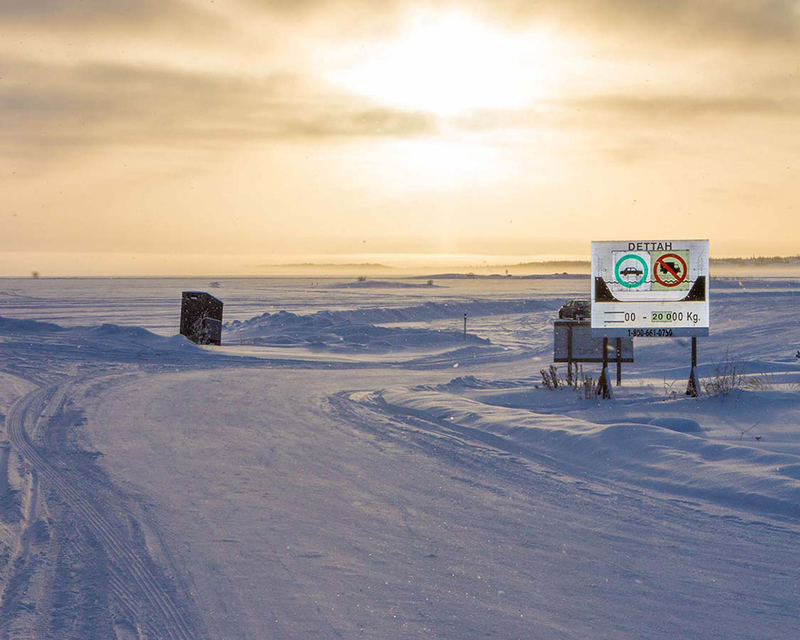 Great Slave Lake is one of the largest lakes in the world, so it takes a while before the ice reaches the 35cm minimum at which point cars and trucks can safely cross the ice highway. But once that thickness is achieved, the towns celebrate by coming together for celebrations. The Ice King Festival is one of those festivals. And during March, the festival resides on the edge of the Dettah Ice road. Massive ice castles surrounded by ice sculptures and stages are set up, and all the surrounding towns come out to celebrate. Driving on an ice road is not the same as driving on a regular road. Therefore, certain precautions need to be followed. These are especially important if you are driving a heavier truck. Because the material under the ice isn’t solid, it creates waves that push ahead of the vehicle. Because of this, drivers need to maintain a constant speed to avoid cracking the ice ahead of them. This is especially important close to shore. But those who brave the chilly weather for these unique driving experiences, are blessed with incredible access to towns and cultures that are not often experienced during the chilly winter months. And the views from these frozen highways are some of the most spectacular in the world, especially when the stunning Aurora Borealis (Northern Lights) displays in the northern night sky. When you drive the Sea to Sky Highway, you’re going on a Cultural Journey through Squamish and Lil’wat First Nations traditional territory. Viewpoint signs on both the east and west sides of the highway. The Squamish and Lil’wat Cultural Centre is located in Whistler, where you can enjoy the restaurant, gift shop, and museum. It can be easy to only catch occasional glances on the mountains, trees, and water (especially if you’re the one driving), so be sure to stop at the many roadside turnoffs on your way to and from Whistler. Your journey from Vancouver to Whistler takes you through Brittania Beach, where you can stop and explore the Britannia Mine Museum and get coffee (and photographs). There are several provincial parks along the highway where you can have a picnic, rock climb, hike, and swim. During the winter months, you can snowshoe or cross-country ski (and downhill ski in the Whistler area). 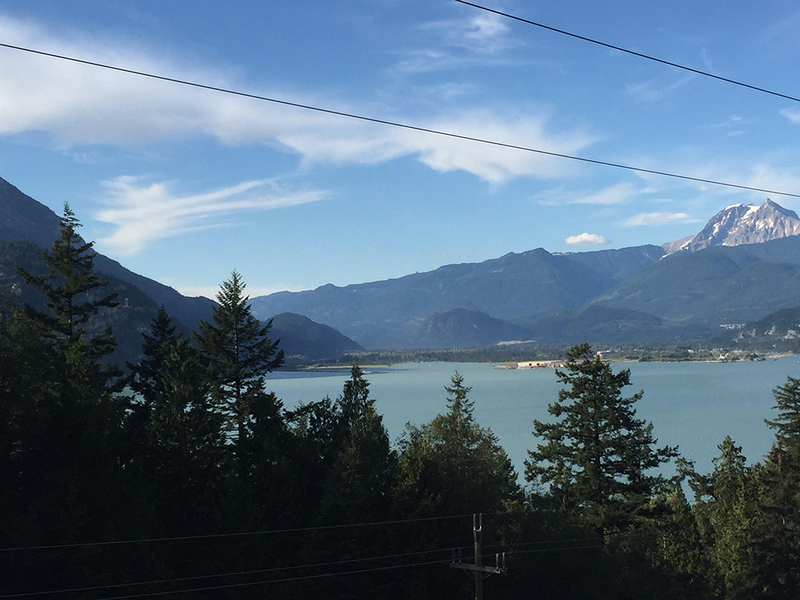 Take the Sea to Sky Gondola, near the town of Squamish, to get a breathtaking view of Howe Sound, islands, and mountains. You can hike, snowshoe, or enjoy the food in the restaurant at the top of the gondola. Whistler is a great city to visit any time of year. There are festivals throughout the year, and Whistler village is a beautiful place to wander around in between meals and drinks. The Sea to Sky Highway is approximately 163km long. 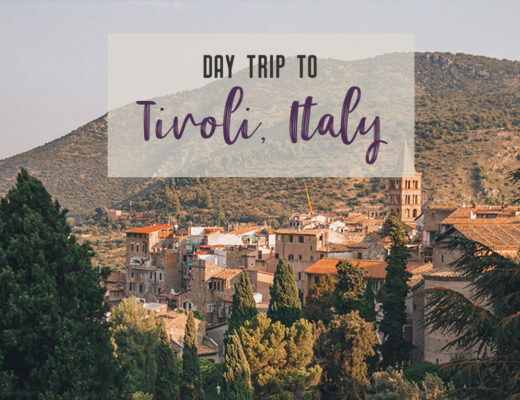 While this drive can be done in a day, if you allow 2 or more days, you can more fully explore what the area has to offer. One of the most spectacular road trips in BC is along the Sea to Sky highway; there are many stops along Highway 99 that are must-see stops. 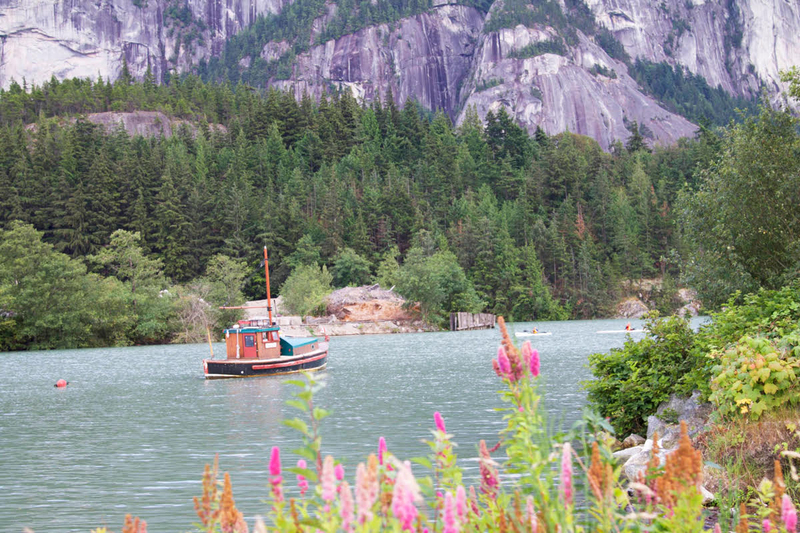 If you plan on catching a ferry to Bowen Island or Vancouver Island, you will catch one at Horseshoe Bay, one of the first stops from Vancouver with some fantastic views of the bay. Continuing further north along the highway, Lions Bay (the area gets its name from the Lions or twin peaks here) is a spectacular viewpoint to stop and take some photos. Any stretch of the Sea to Sky is incredible, but the area between Britannia Beach and Squamish is my favourite. As you come down the curve around into Britannia Beach, you find a small community that was once a thriving copper mining area, but it is the vistas that always get me. If you are a falls lover.. there are a few along the way. Shannon Falls is quite close to the highway and can be seen driving past, but stop along the way and hike the short distance to the falls for an even closer look. One of the better-known highlights along the highway as you approach Squamish, is the Stawamus Chief, a favourite destination for rock climbers, it is a massive granite cliff with three separate peaks. The Sea to Sky Gondola is also here, and you can take up and get a spectacular view of the back of the Chief. Another great area to stop along the highway is Brackendale, one of the best places to spot eagles. Brackendale Eagles Provincial Park is known as a wintering area for Bald Eagles, so there are times that as you drive past, you see rows of eagles lined along the overhead wires. The drive from Vancouver to Whistler takes typically around 2 hours without stopping, but the timing depends on how long, and how many times you stop along the highway. This is really a highway where you need to take your time and enjoy it. 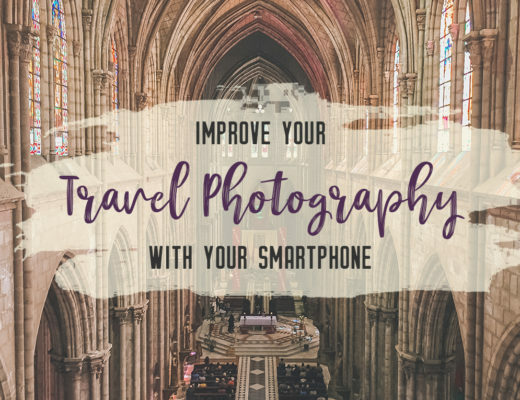 Make sure you have your camera ready! I thought driving through the Prairies was going to be one of the most boring drives possible in Canada. How wrong I was. This was the perception given to me that I would be driving through the middle of Canada on one straight road (the Trans-Highway-1), with only fields and their crops to see and not passing many settlements. I did a couple of drives through them, and both were eight-ten hours long. I wasn’t bored. This was an entirely different landscape I was used to and a couple of days in the area was just about enough before heading west into the beautiful Rocky Mountains. The biggest city in Saskatchewan is Regina but to be frank, I didn’t want to stop off here for too long. It’s just all houses and a lovely huge park in the centre, but for me, it was going to some of the settlements and checking out the local communities. I found people here to be very friendly, and they loved having conversations with me about the Queen of England and kept asking me how many cups of tea I drink (as I am from London, UK). 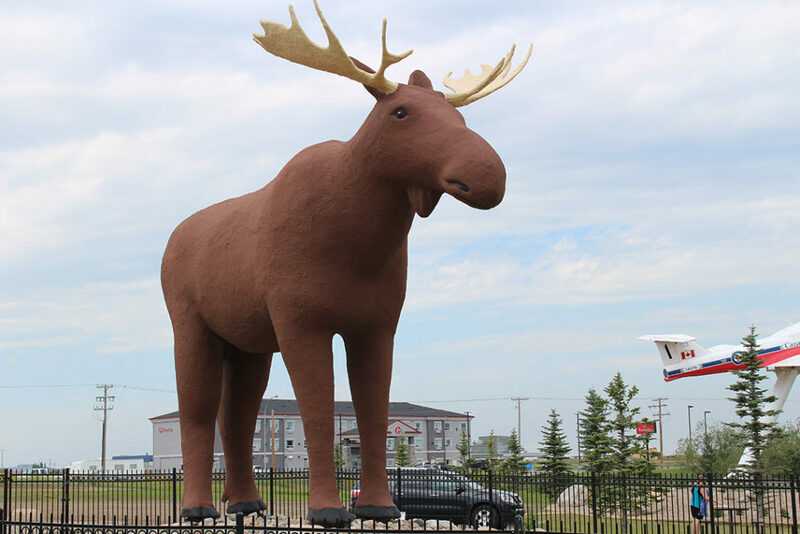 I even saw the world’s biggest moose in Moose Jaw but for me, the highlight was visiting Rouleau, a small settlement south of Regina and way off the main highway. Before my visit, I watched a comedy called Corner Gas, a Canadian classic, and here was the setting for the outdoor filming. I checked out the post office, drove around the place seeing all the various buildings used for the show, the gas station, which is no longer there, and of course, having some chicken wings in the hotel bar. The locals couldn’t believe I came all the way across the Atlantic to this little place just because of a television show. It was also a great chance to talk to locals about what they do in the area. You can ask, what keeps them employed, what do they do for entertainment, how essential it was to have a car as public transport in the middle of nowhere is non-existence? 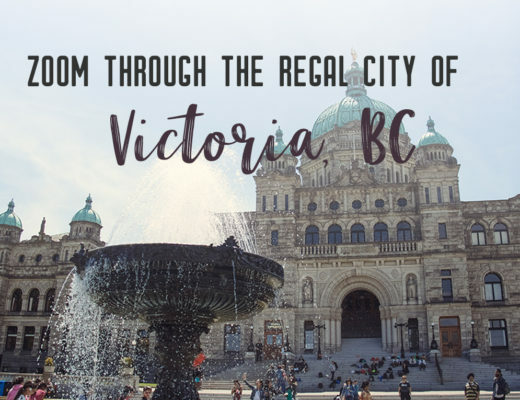 Compared to the rest of the county, I felt a long way from the urban sprawls of Regina, Calgary and Toronto and felt like I had step back in time, to a slower pace of life. For this part of the road trip, I was glad to stop off here and to be honest, they may not be much to do in these parts, but life can be exciting once getting to know the locals.